For doctors, a simple mistake can end a person’s life. It’s part of the process of practicing medicine, and something all doctors are well aware of the moment they begin medical school. A documentary that is set to be released later this fall will help shine a light on both the practice of medicine and the consequences of medical error. The film’s director, Michael Eisenberg, is very familiar with the topic. His father was a physician who was involved in what is now known as the Agency for Healthcare Research and Quality. The title of the documentary, To Err is Human, gets its name from a medical report released in 1999 by the Institute of Medicine. The report was significant because it drew attention to the number of preventable deaths that occurred in the healthcare field and what medical doctors and staff could do to prevent them in the future. Part of the problem when determining how many lives are lost each year due to medical error lies in how the CDC keeps records. The CDC refuses to list “medical error” as a cause of death, making it much more difficult to determine how many individuals die each year from preventable mistakes. Some estimates put the number at around 400,000 deaths per year. The film touches on a recent trend in the practice of medicine that has seen doctors become more comfortable about openly discussing medical errors with their patients. 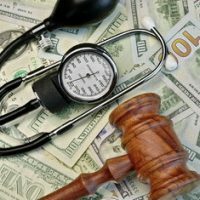 At the same time, the number of successfully-litigated medical malpractice suits are down even while the average payout for those lawsuits has gone up. Part of the issue is that doctors have decided that being honest with patients and their loved ones is the right thing to do. Another key factor is a limitation on the number of attorneys who are willing to take on these cases. If you or someone you love was injured or even killed by a medical error, then you may be entitled to damages. If so, please reach out to Palmer Law Firm of Tampa, Florida. We’ll fight for your right to be compensated for your damages.